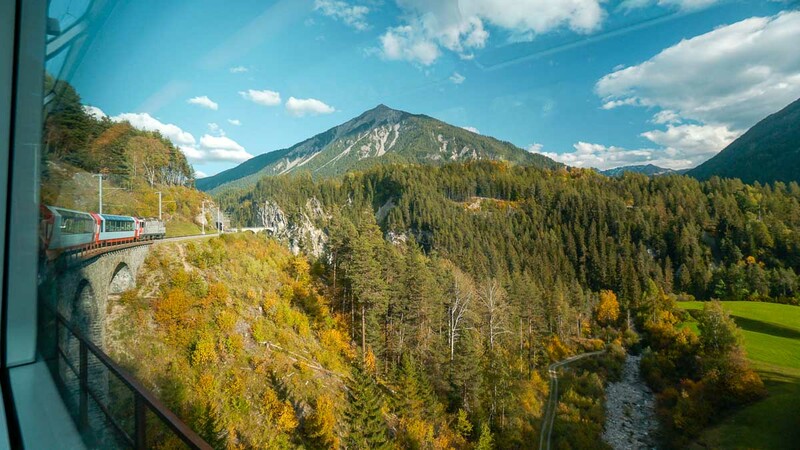 Not only is train travel the most economical way to travelling around Switzerland, it’s also the best way to enjoy the views across the country. 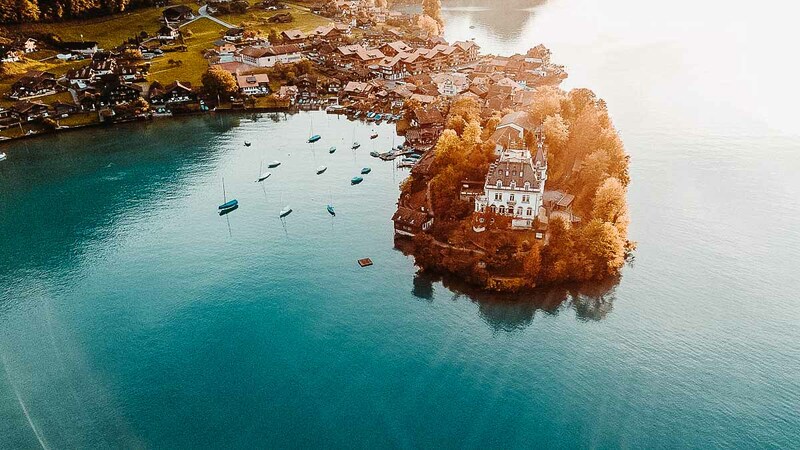 From lake views to the Swiss Alps, here’s a guide to maximising your Swiss Travel Pass on your next Switzerland adventure. Planning a trip around Switzerland is tough. 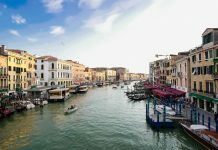 There’s so much to do and everything seems bucket-list worthy! 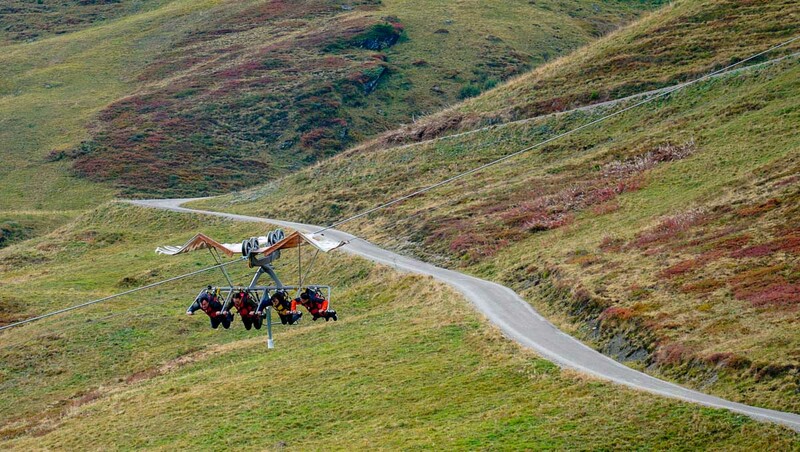 Think paragliding between valleys that remind you of a scene from Lord Of The Rings, taking the scenic Glacier Express from Zermatt to St. Mortiz or even sliding down the mountain in a toboggan. 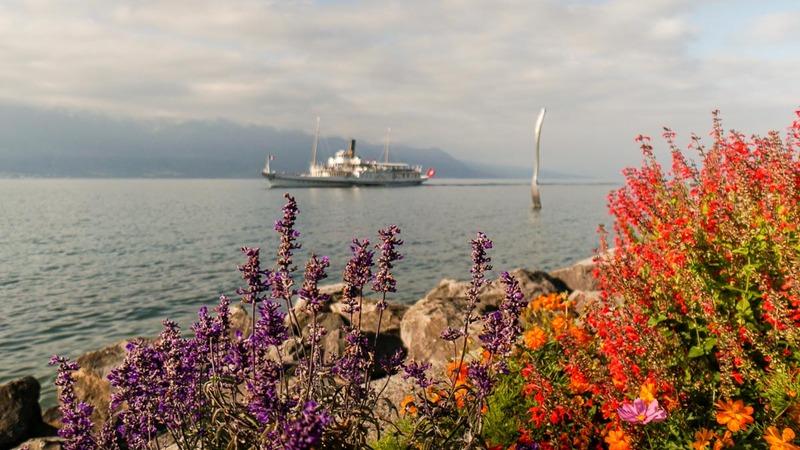 Looking for the perfect Switzerland itinerary? Check out this 10-Day Switzerland Itinerary Under S$2.3k! On our 10-day trip in Switzerland, we visited six cities, summited 6 mountains via an uncountable number of train, cogwheel, cable car and boat rides. Despite being the more budget option of travelling around Switzerland, these fares can add up quite a bit! Without a Swiss Travel Pass, our transport cost would have easily totalled to S$2,000! Check this detailed breakdown. 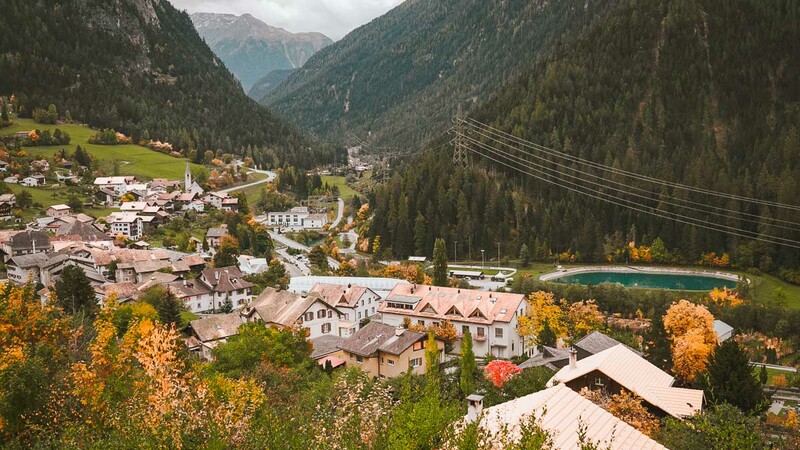 2) Buses: Buses are entirely free, including the hourly bus from Leuk to Leukerbad (for Leukerbad Thermal Pools), which is a 30-minute ride up the scenic mountain off Leukerbad town. 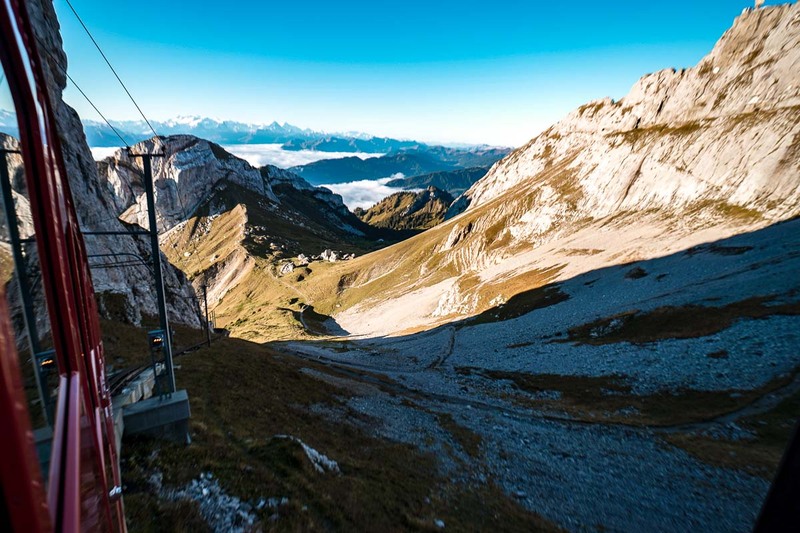 3) Cogwheels & Mountain Cableways: Some like Rigi & Schilthorn are free, while others are available at a 25 – 50% discount. More on that later! 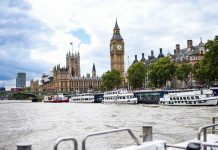 4) Boats: Boat rides are free. 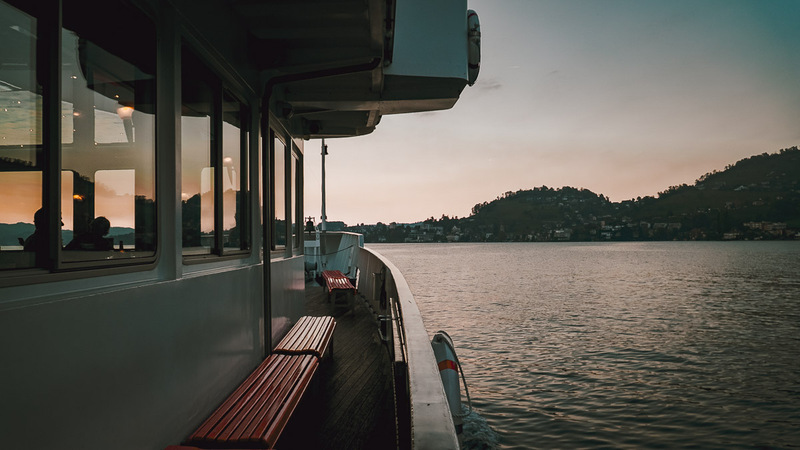 Other than getting from point to point, also check out the extra scenic boat rides on Lake Lucerne, Lake Brienz and Lake Geneva. 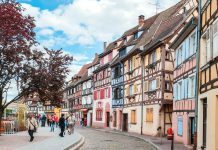 5) Museums: Free entry to over 500 museums including the FIFA World Football Museum in Zürich, Château de Chillon in Montreux and Matterhorn Museum in Zermatt. The pass comes in two variants: a consecutive pass (for 3, 4, 5, 8 or 15 days), and flex pass for flexible travel within one month. *Pro-tip: Download the SBB mobile app to look up train, boats and bus timings on the go. Note: The Swiss Travel Pass covers all transportation to the starting points listed below. 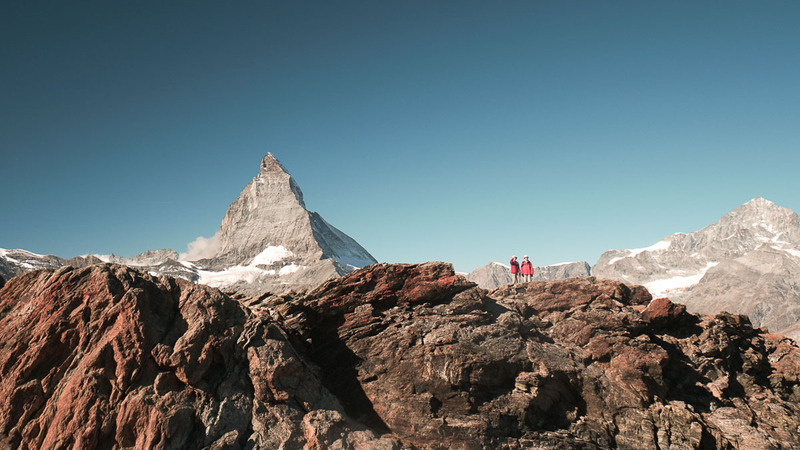 The mountain that inspired our favourite triangular chocolate bar, climbing to the peak of Matterhorn is a bucket list item for many. 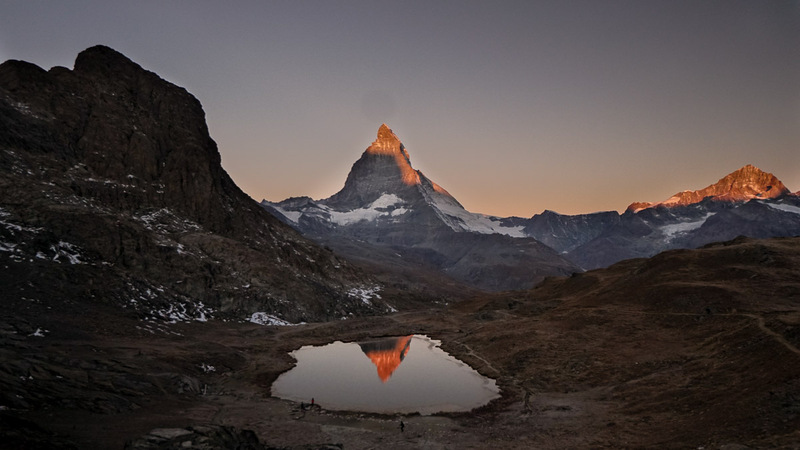 But personally, seeing Matterhorn during sunrise from Gornegrat was enough of a view to check off my own bucket list! 1) Rifflesee: This is the best view of Matterhorn. If the weather is great, plan to go at sunrise — trust me, it’s worth waking up for! 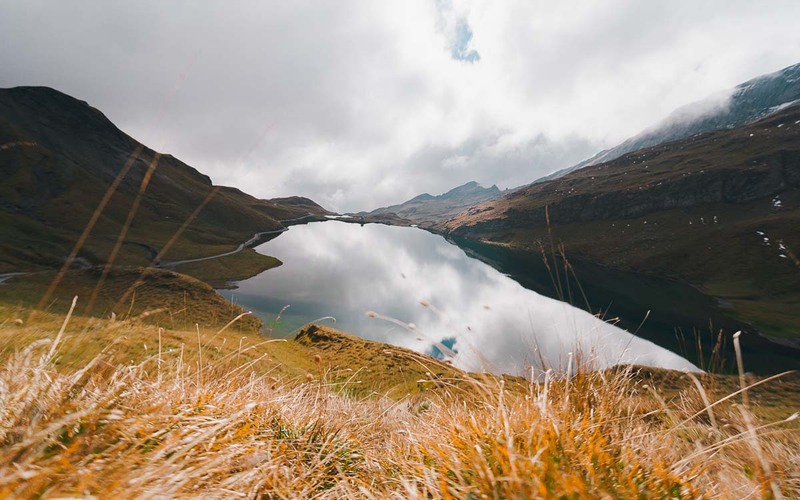 If the winds are minimal and skies are clear, you’ll see a perfect reflection from this lake. 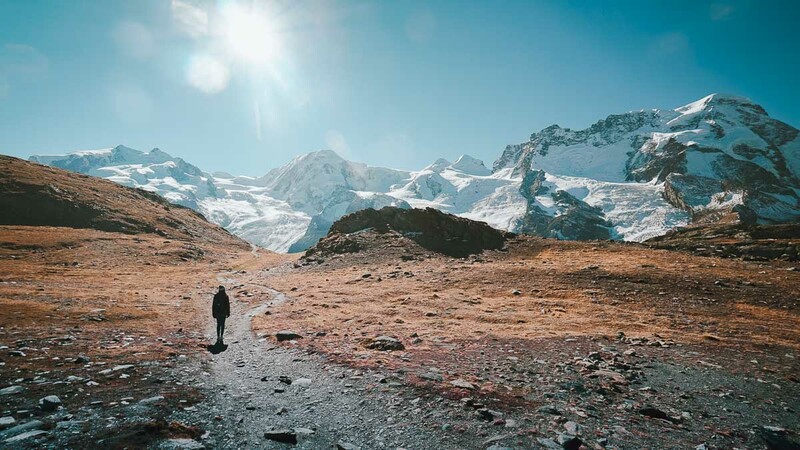 The fastest way to get here is via the Gornegratbahn, just outside the Zermatt Bahnoff. Get a one-way ticket up to Gornegrat station and buy a separate return ticket on the way down (depending on how much you want to hike). From Rotenboden station, it’s a 5-minute walk to Rifflesee. This view was one of the best payoffs given its accessibility. 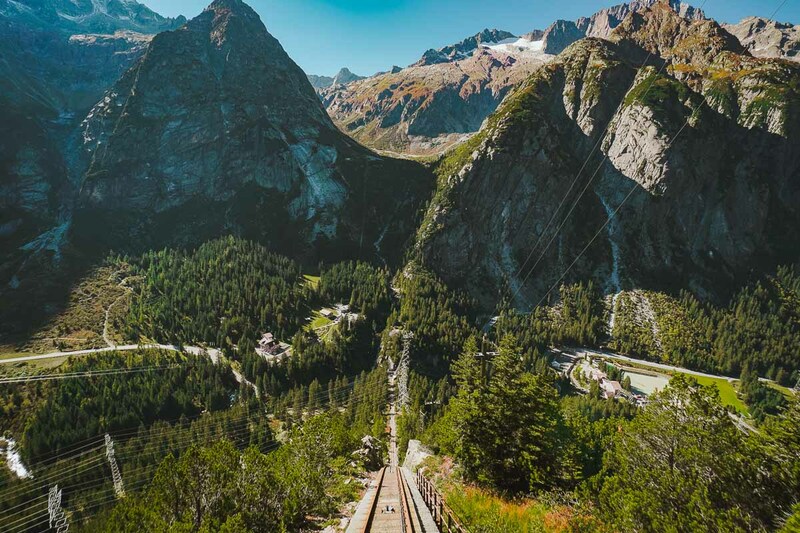 After you’re done at Rifflesee, hop back on the funicular up to Gornegrat station for a panoramic view of the surrounding Swiss Alps. 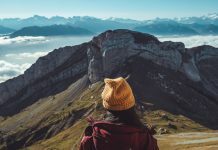 To get down, you can hike for about an hour to each station (there are 4 in total: Rotenboden – Riffleberg – Rifflealp – Findelbach) so the hike would take 3.5 – 4 hours. When you’re tired, just purchase a one-way ticket down from any of the stations. Of course, the lower the station, the cheaper the ticket. 2) 5 Lakes Trail (Seenweg): This well-marked trail goes to five different lakes (Stellisee, Grindjisee, Grunsee, Moosjisee and Leisee) with Matterhorn consistently in the background. It’s a nice hike but if you only have time for one hike, pick the one at Gornegrat (mentioned above). 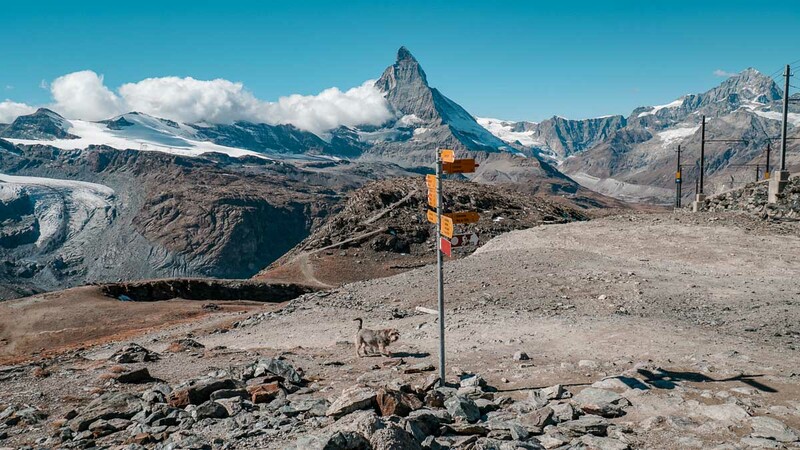 You can begin the hike from Zermatt or alternatively, save three hours and take the funicular to Sunnegga, followed by the gondola lift to Blauherd where the hike begins. The hike from Blauherd to Sunnegga (which passes through the five lakes) is mainly downhill and should take around 2.5 hours. From Sunnegga, you can take the funicular back to Zermatt. 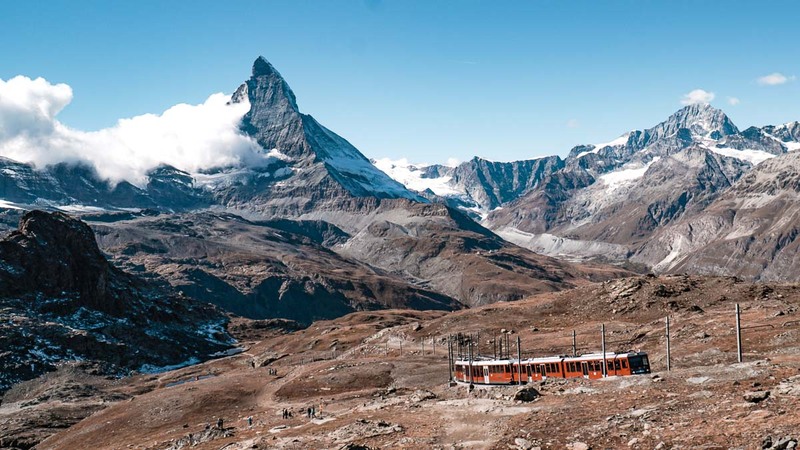 Swiss Travel Pass: 50% off the funicular from Zermatt to Blauherd and cable car from Blauherd to Sunnegga. Overlooking the city of Lucerne, Mount Pilatus is famous for its Golden Round Trip, that covers five different forms of transport to ascend and descend the mountain. 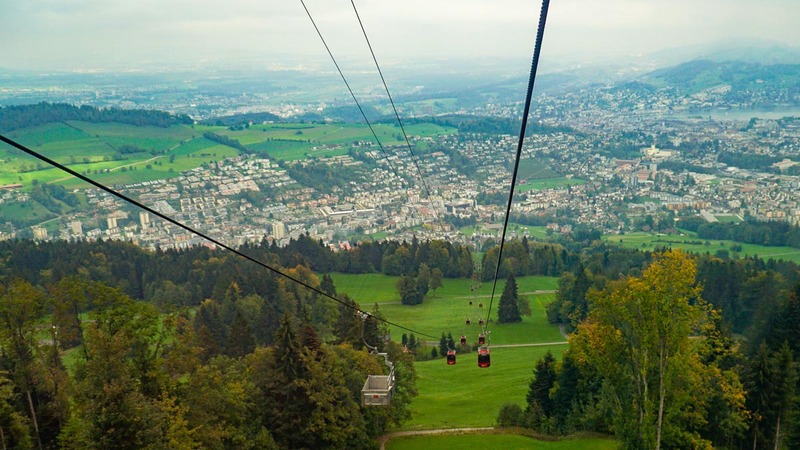 This route is possible both ways, starting clockwise from Lucerne: take a boat/train to Alpnachstad and take a cogwheel* train up to Pilatus Kulm. This cogwheel is famous for being the steepest in the world! For a clearer idea, check out this interactive map of the Golden Round Trip route. 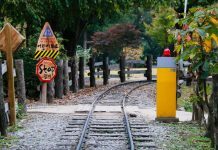 *The cogwheel railway only runs from mid-May to mid-November. Check the exact dates on the site to be sure! 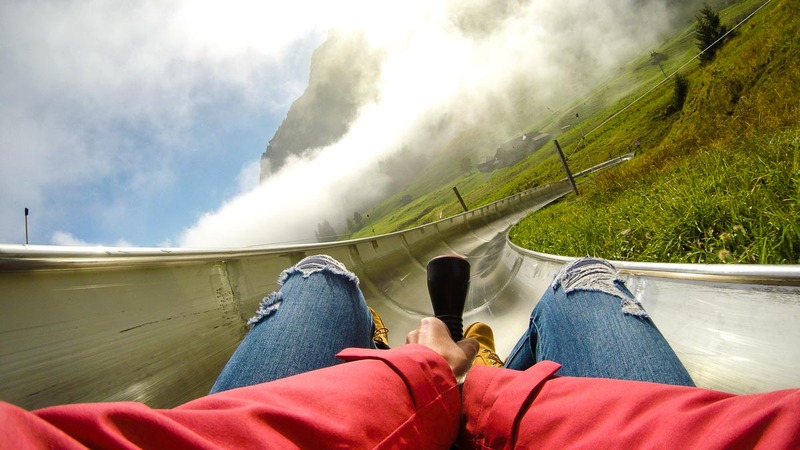 On the descent, take the cable car down to Fräkmüntegg where you’ll find the longest Tobboggan sled in the world (CHF8/ride). Don’t worry about walking back up as you’ll be dragged on your Tobboggan with an attached wire. From Fräkmüntegg, continue down to Kriens station where you can catch bus no. 1 back to Lucerne station. The boat ride is supposed to be really scenic but because it’s much longer than the train ride, it’s worth taking only if the weather is clear — the lake tends to fog up on most mornings. At the top, there are various hikes ranging from 30 minutes to 3 hours. 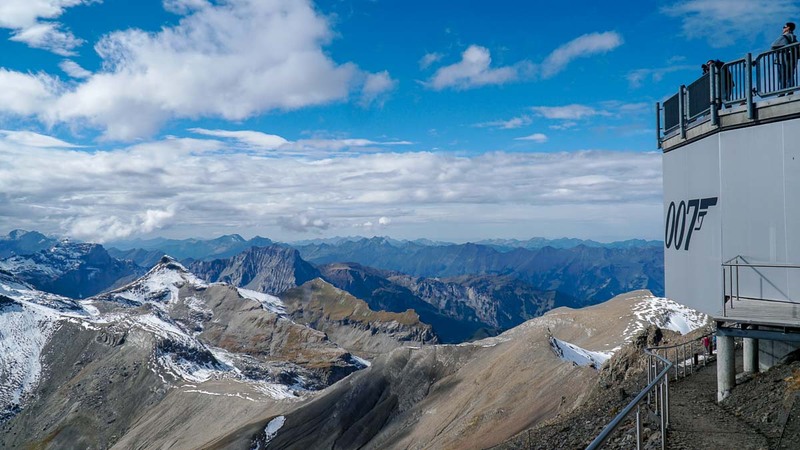 We highly recommend the 40-minute hike on Tomslihorn, accessed from the right side of the Pilatus Kulm Restaurant. Starting Point: You can start from either Alpnachstad or Kriens. To Alpnachstad, either take a boat (1h18m) or train (17m) from Luzern. To Kriens, it’s a 5-minute ride on bus no. 1 and short walk to the cableway station. *Pro-tip: If you’re on the Swiss Travel Flex Pass, consider saving a day on the pass and sign up for a Half-Day Pilatus Tour instead — tickets are fully covered from Lucerne station to Pilatus and back. 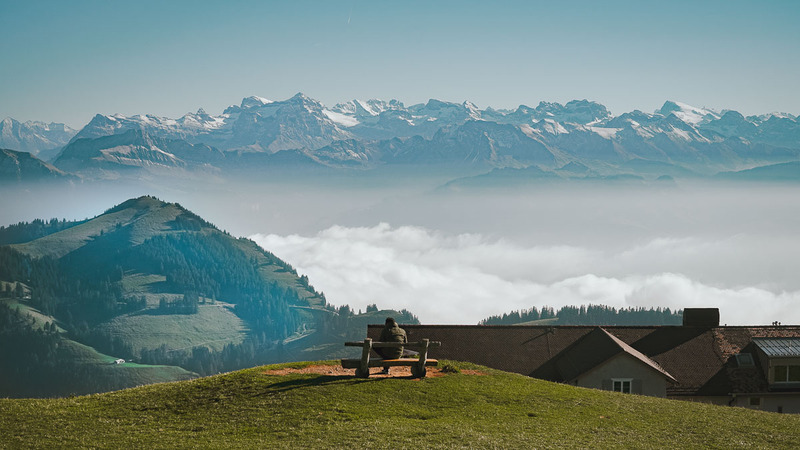 Slightly lower than Pilatus, the peak of Rigi is at the perfect height for a 360° panoramic view of the surrounding Swiss Alps as well as Lake Lucerne and the city below. But the best part? 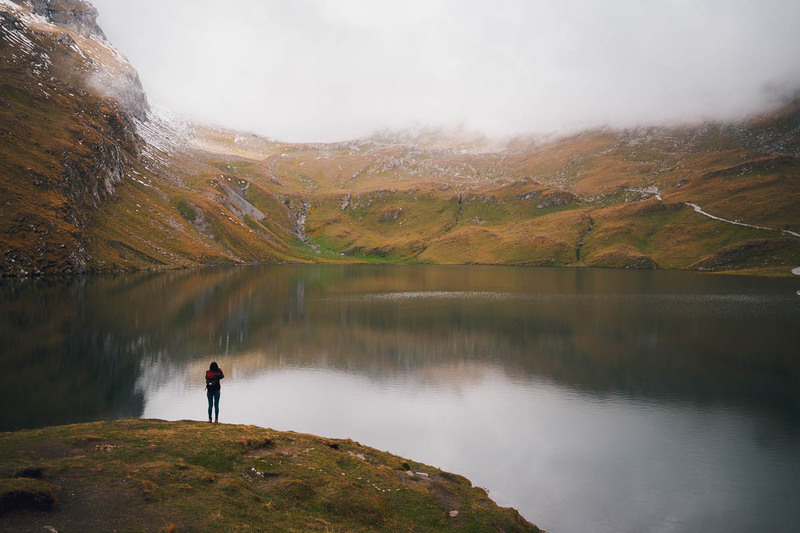 Swiss Travel Pass holders get to travel up entirely free! 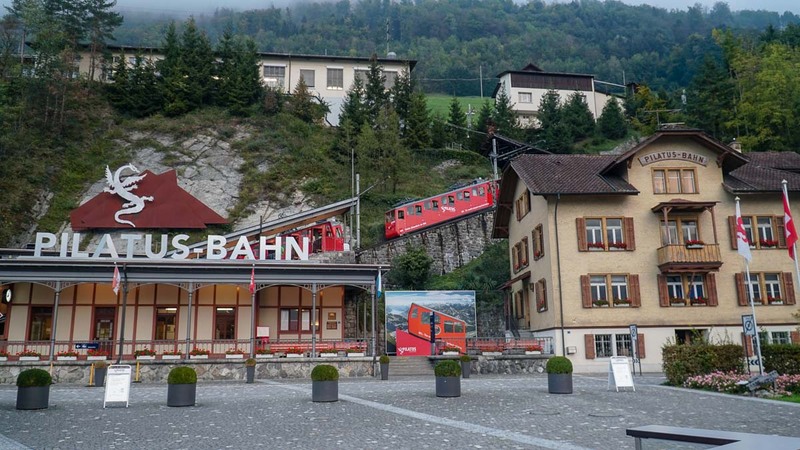 Swiss Travel Pass: Free — cogwheel trains from Arth-Goldau and Vitznau are fully covered. At 3,454m above sea level, Jungfraujoch is the highest railway station in Europe and is covered in snow all year round. 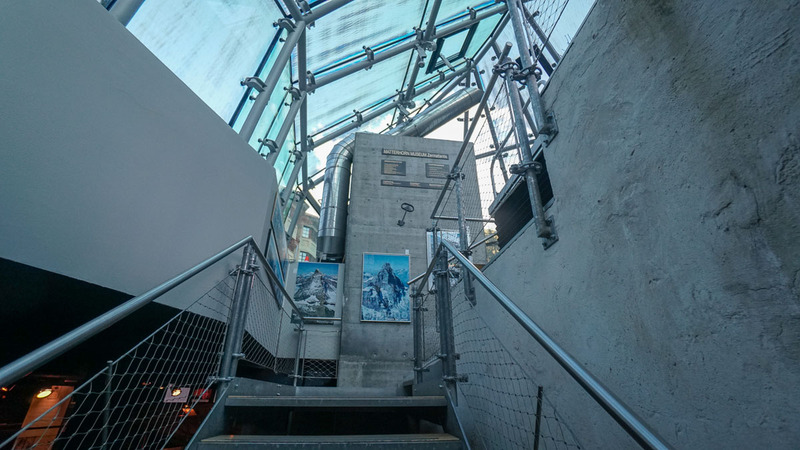 At the peak, there’s the Spinx Observatory where you’ll get a close-up panoramic view of Mt Eiger and Mönch. On top, there’s also an Ice Palace to explore, and one of the most iconic mailboxes that you can mail out postcards from. But perhaps our favourite part of the experience wasn’t so much arriving at the top of the station, but the entire hour-long journey on the train. The views were simply breathtaking, and would have been quite enjoyable as a hike too! 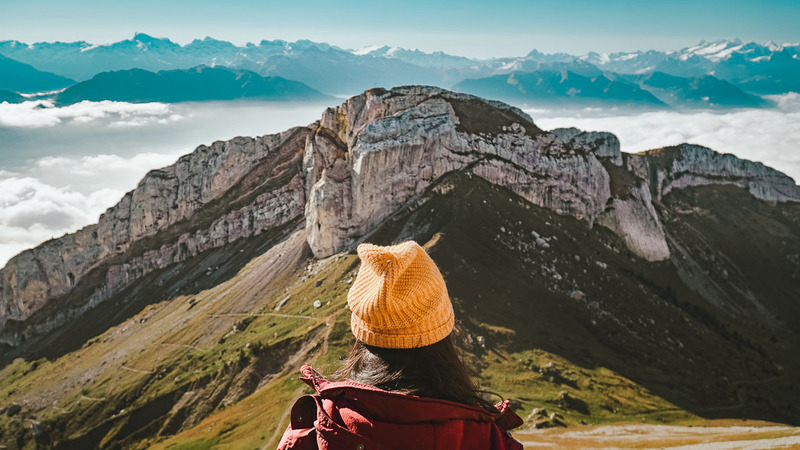 It’s best to visit Jungfrau while based in Interlaken since it’s nearest, but if you’re short on time, you can still check out Jungfrau on a day trip from Lucerne or even Zurich. 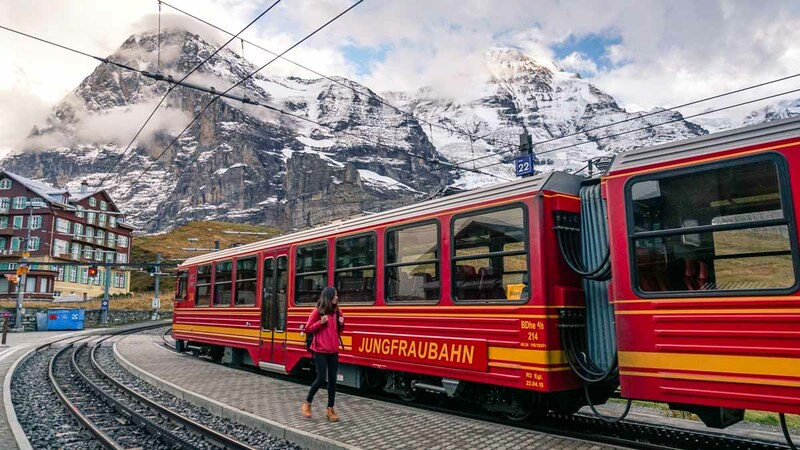 Swiss Travel Pass: 25% off the train from Wengen Station to Jungfraujoch (CHF132 round trip from Wengen). The first two stops from Lauterbrunnen (bef Wengen) are covered. Overlooking the picture-perfect valley of Lauterbrunnen, Schilthorn is one of the few mountains fully covered by the Swiss Travel Pass! 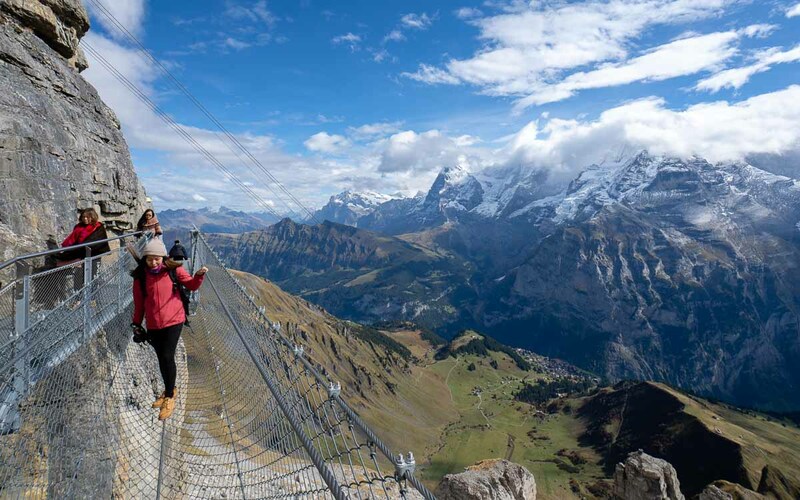 From the top, you have a panoramic view of the Bernese Alps and three big mountans of Jungfrau, Mönch and Eiger. On a clear day, you can even spot Mont Blanc. Daredevils, try the 200m Thrill Walk that brings you on glass floors and wire ropes across the vertical face of the cliff (it’s completely safe, don’t worry). 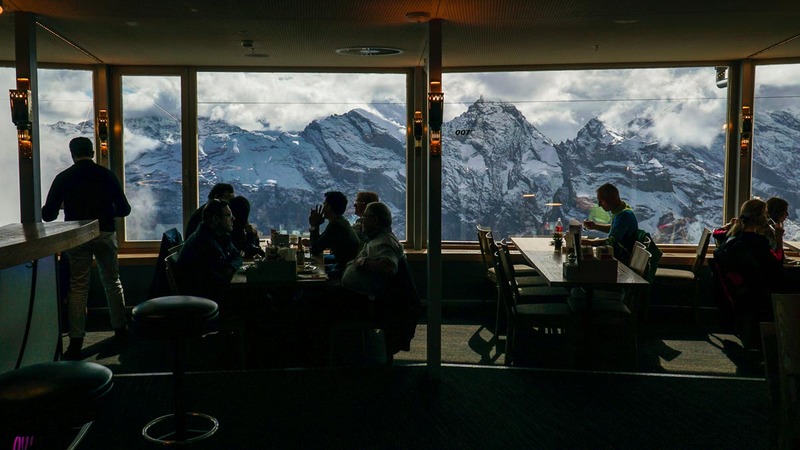 Also at the top is the famous Piz Gloria — a revolving restaurant featured in the 1969 James Bond movie. Restaurant meals in Switzerland are expensive so if you could only pick one place to splurge, the menu at Piz Gloria is worth the experience. It’s also not a lot more expensive than regular restaurants in the city. If you’ve done the first five in this list, you must be wondering by now if this is “just another mountain”. But there are a few reasons why Grindelwald First is worth the trip. 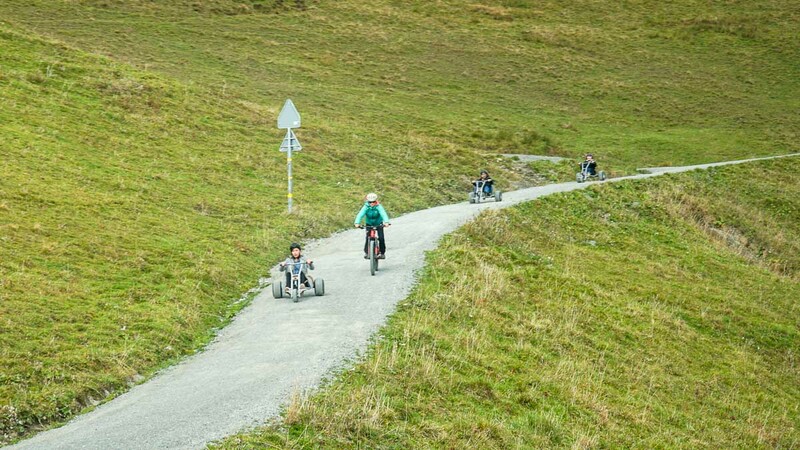 If you’re keen to take on all the rides, there’s an adventure package (CHF120) that includes all the activities as well as unlimited use of the gondola. Before you start your descent, check out Bachalpsee. It’s an easy 40-minute hike from First Station (one-way) and a great place to set up a picnic. 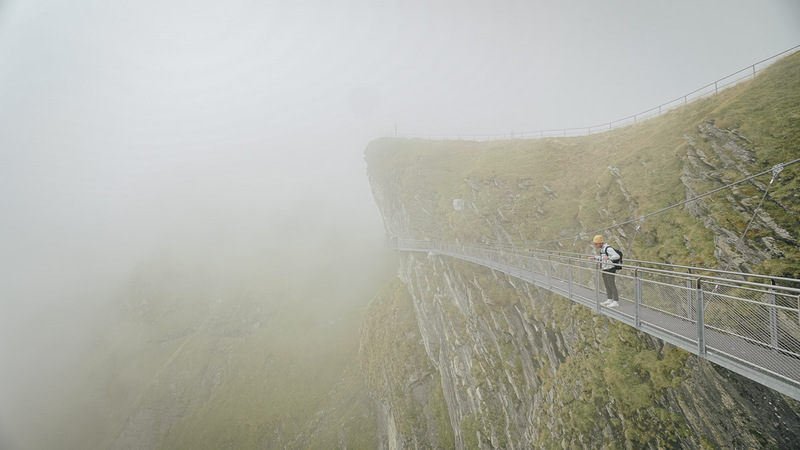 At the top, there’s also the First Cliff Walk by Tissot which I can imagine to be quite pretty, if not for the thick fog that we were engulfed in that day. 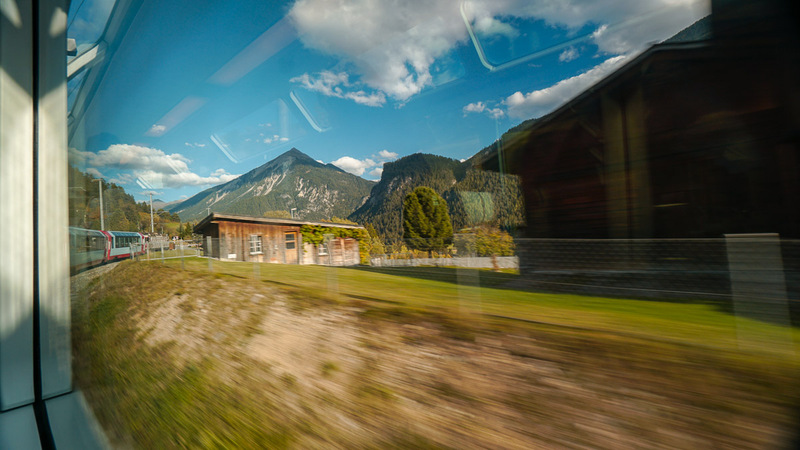 Travelling by train in Switzerland isn’t just about getting from one point to the next but an experience of its own. For once, you won’t be complaining about long routes (some last up to 8 hours! ), because you’ll be constantly entertained by the views beyond the large panoramic windows. This route passes through some of the most dazzling lakes, waterfalls and rivers. The good news is that it doesn’t require reservations, and runs once every hour from 6:06AM. 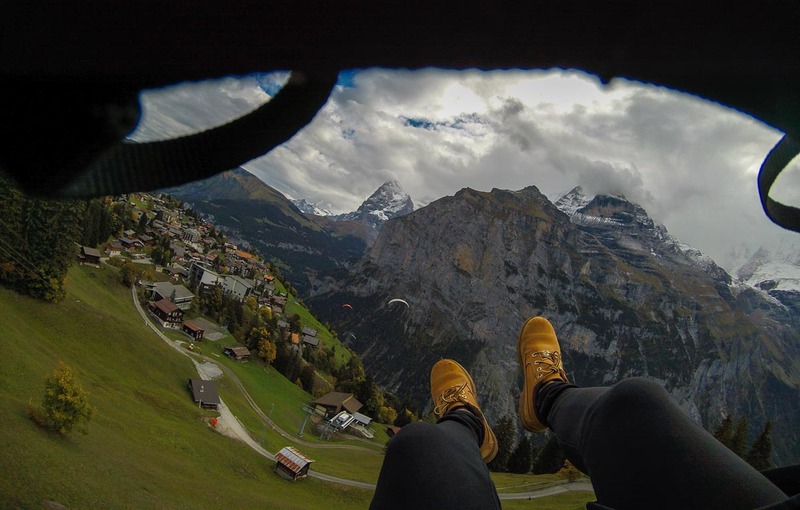 Interlaken is a great base for many outdoor adventures including paragliding in Lauterbrunnen, hiking in Grindelwald or even experiencing the world’s steepest funicular! 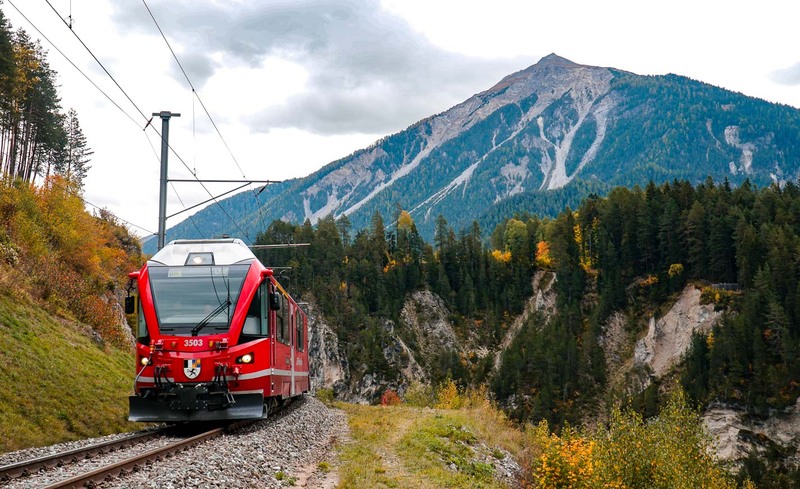 The MOB Panoramic train only runs from Zweisimmen to Montreux, but combined with the route above (Lucerne – Interlaken), this makes up the Golden Pass Route and is known to be one of the most accessible yet scenic train rides around. This train doesn’t require reservations too, and is fully covered by the Swiss Travel Pass. The train runs 6 times a day, every 2 hours from 8:25AM. 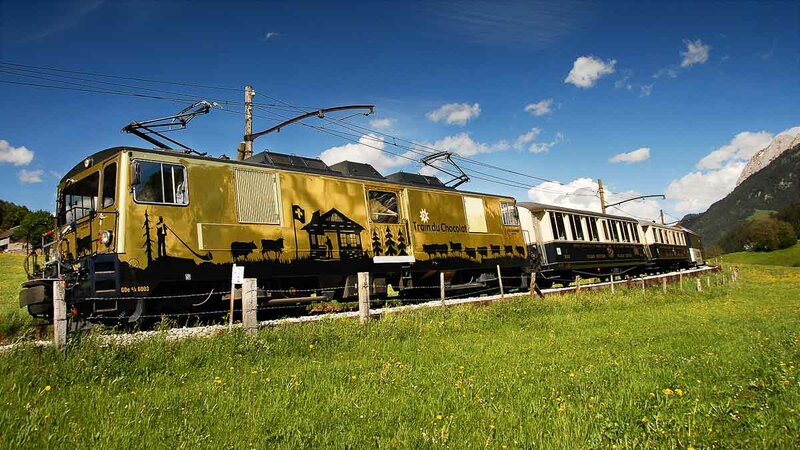 From Montreux, the MOB Panoramic train also has special day excursions on the Chocolate Train to Gruyères, known as the land of chocolate. 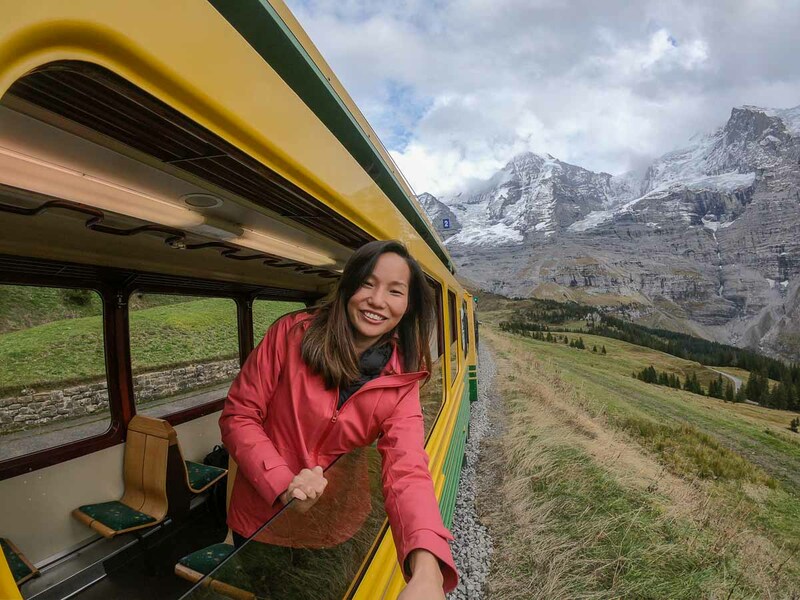 Swiss Travel Pass holders get a discounted rate of CHF69 which includes first class train travel, reservations, onboard coffee and chocolate croissant, as well as entry to the cheese and chocolate factories. Swiss Travel Pass: Fully covered. Reservations not mandatory but recommended during peak seasons in July and August. 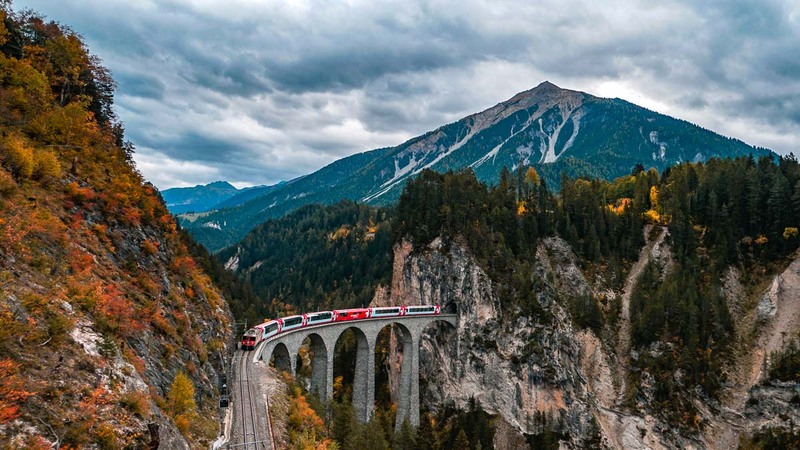 The highlight on the Glacier Express is the journey between Chur and St Mortiz where it passes through the Landwasserviaduct — a 65m high, single-tracked railway viaduct with six impressive arches. It’s also the “world’s slowest express train” at ~39km/h; but no one’s complaining because it’ll give you ample time to take in the varied landscapes while dining on board. From valleys and canyons to rivers and towns, the train passes through 91 tunnels and 291 bridges! 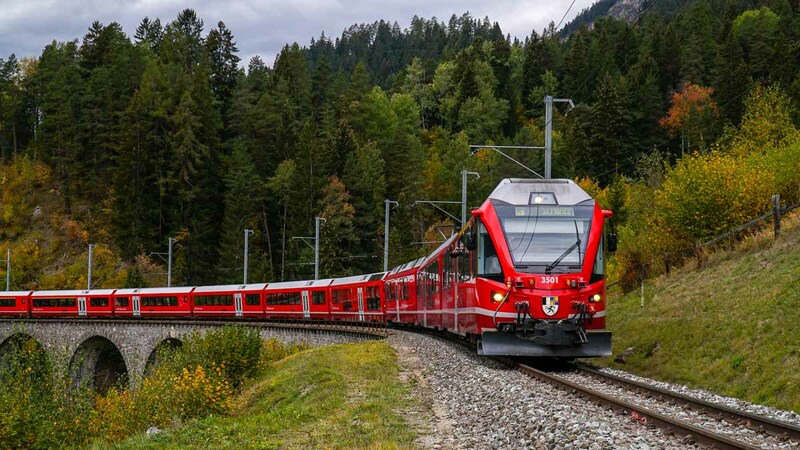 Swiss Travel Pass: Reservations are compulsory and not included with the pass — CHF33 for the entire route, CHF22 for shorter sections of the route. Optional meals sold separately. *Pro-tip: For the best views of the Landwasserviaduct, reserve a seat on the right side of train between Chur – St-Moritz. Seats for this train sell fast so book as soon as the window opens (up to 3 months in advance). 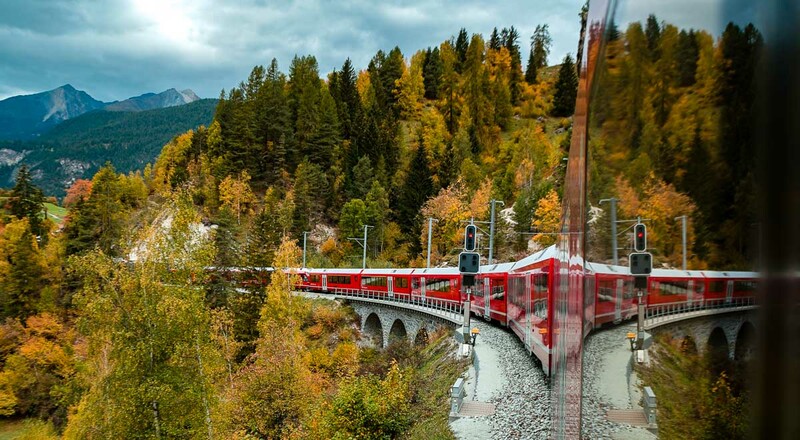 The two other scenic trains covered by the Swiss Travel Pass are the Gotthard Panorama Express (from Luzern) and Bernina Express (from Chur). Both trains end up in Lugano and require reservations. Note that some of these trains don’t run during the winter season (Mid-October to end March). We hope this Swiss Travel Pass guide was useful! 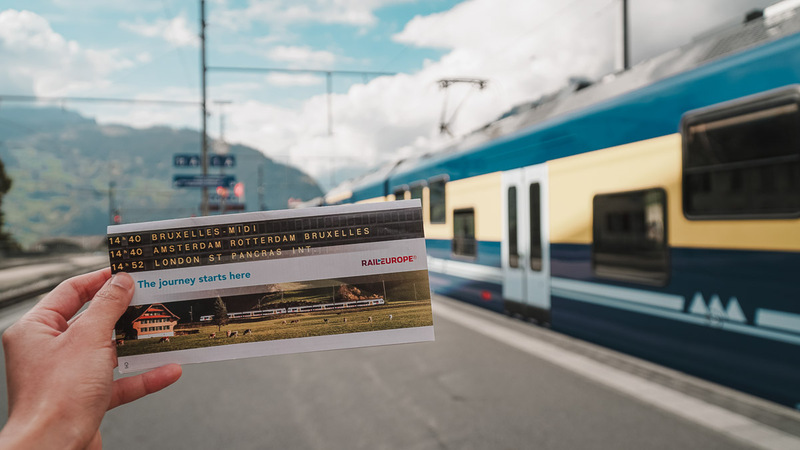 For a list of all the trains we took with the Swiss Travel Pass, click on the image above! 1) Should I get the Swiss Travel Pass before arriving in Switzerland? Absolutely. Currently, the cheapest and most convenient in Singapore is to get the E-tickets via Klook. On the official Switzerland website, an 8-day Swiss Travel Pass (Youth) costs CHF340 (~S$471) but we got ours from Klook at ~S$456. We also researched and found popular third-party retailers selling the same ticket in Singapore for S$499 or even S$567 (!!). Confirmation for the e-ticket on Klook is almost instant and all you need is a printout of the e-ticket. Most of the rail staff will accept digital tickets by scanning the QR code on your phone. On the off-chance it doesn’t work, you’ll need to show the physical printout. The downside is that the e-ticket is only for the regular Swiss Travel Passes (consecutive days). 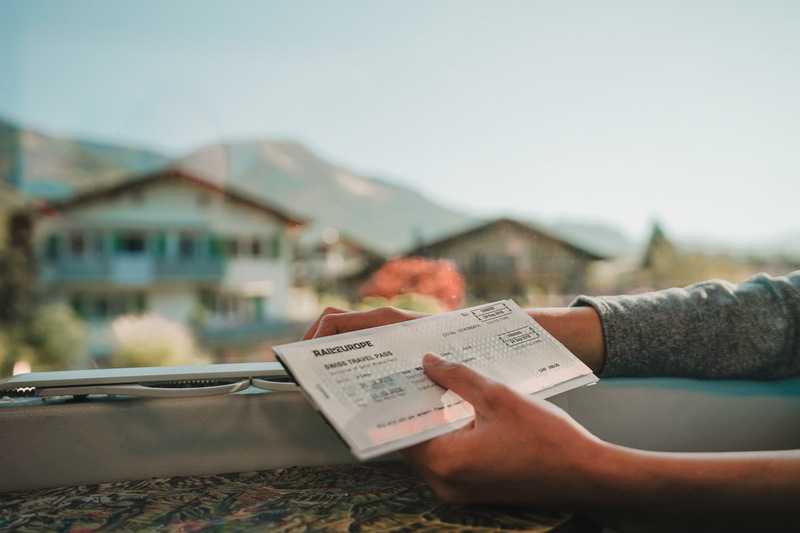 If you’re getting the Swiss Travel Flex Pass, you’ll need to book at least 7 days in advance, and the physical pass will be delivered to your doorstep. 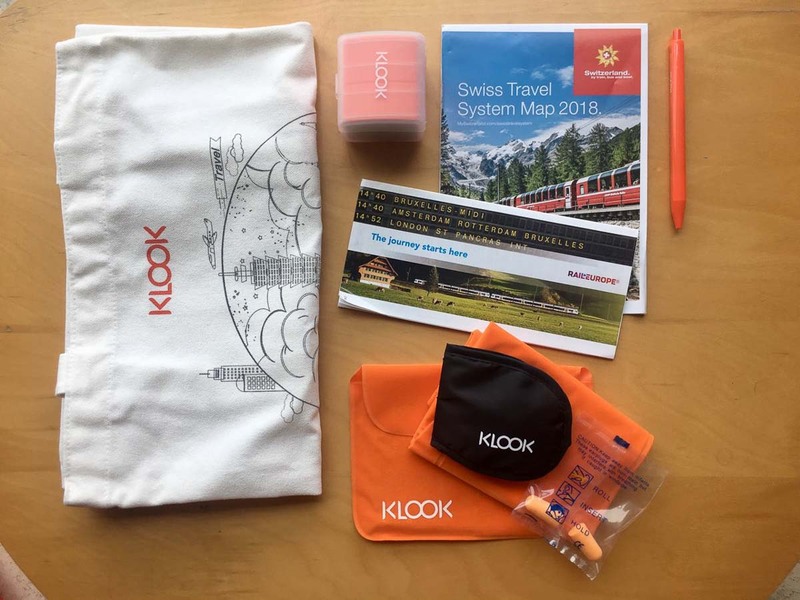 Mine arrived within 2 working days on express registered mail, with a Swiss rail map and travel freebies. 2) How do you enter the train stations with a Swiss Travel Pass? In Switzerland, there are no gantries at train stations so it runs quite heavily on trust. However, scenic trains, especially those that ride up the mountains, will almost always have rail staff walk through the cabins to check for tickets/rail passes. Just have your rail pass or phone ready when you’re on the trains. 3) Are train reservations required? Only selected premium panoramic trains require it. You can hop on and off any of the local trains and buses without reservation or extra tickets. Reservation fees are not included in the Swiss Travel Pass. 4) Is the Swiss Travel Pass valid on local buses? Yes! The great thing is you don’t have to fumble for your pass/ticket when boarding. Just board from any of the doors. In our entire trip, there was only one time where we had to show our Swiss Travel Pass on the bus. 5) Is there luggage storage on the trains? The premium panoramic trains usually have luggage racks with ample space near the doors, but the intercity ones have limited storage. Only cabin/compact-sized luggages can comfortably fit between the seats and overhead compartments on intercity trains. 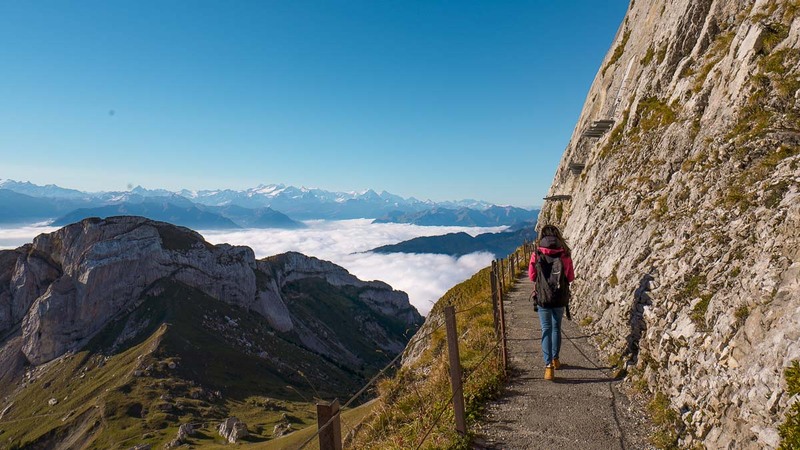 Surprisingly, it’s actually a lot more convenient to travel around Switzerland with a backpack, especially if you’re staying in Airbnb apartments and hostels because they often don’t have elevators. 6) Misc: Eating on trains? Pets? Toilets? One of the best things about long train rides is having your lunch with an ever-changing panoramic view at the side. Food is allowed but you might want to avoid bringing food with strong smells. No one will tell you off because the Swiss are nice that way, but it’s good social etiquette nonetheless! For pets, dogs are allowed on all transportation and 99% of them are really obedient! Apart from the city trains in Zürich, all other trains we took had toilets.